Two weeks ago I watched a work-in-progress version of Josh Hanagarne’s book trailer. It’s one of the best I’ve viewed. Why? It tells a story—and left me with something I wanted to share. That thing that stuck with me the most? His mentions of those people who wouldn’t let him fail—those friends and family members who encouraged him to move into today. AND: the images of him bending nails. We don’t need videos—but they do help. Book trailers aren’t a requirement—but they have the potential to help. Why did our captive audience want to be free in the first place? Didn’t we have a good thing going? We told them something we wanted them to hear, they heard it. What’s wrong with that? It seems so obvious in retrospect. They wanted the content of what they were watching—a zippy one-liner, a criminal is brought to justice, Jordan dunking over, well, everyone. And all we did was interrupt them and force them to watch our marketing message. . . .
Force them to watch our marketing message . . . The publishing industry has been slow on the uptake with this one. They’re print people, not video people. And too many of their videos have come out looking like a forced imitation of what they think a book trailer should be—often with a focus on viral instead of effective. A few years back, I watched one that looked like the sequel to The Blair Witch Project. It was a series of quick cuts, from one scary scene in the woods to another, and then the title flashed on the scene. That works for some films, because people will watch something on scare factor and special effects alone—even if the story is lacking. With a book, you have the story and the readers’ imaginations. You can’t rely on special effects to carry the story. That June 2011 post I wrote? 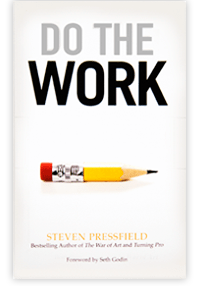 In it, I shared the video for Steve’s new book at the time, The Profession . And if a video along the same lines had been created, which did capture the book, would it sell the book? Even if you produce a video that “goes viral” and a million YouTubers watch it, that doesn’t mean you’re helping move product, sell widgets, or repair a tarnished brand. It just means that a million people watched it and then probably forgot about it. It’s not a marketing strategy. It’s not a lasting positioning of your brand. It’s not U2, it’s Orchestral Manuevers In The Dark. It’s a one-hit wonder. It’s a flash in the pan that ultimately won’t help you beyond a small, short-lived spike in awareness or sales. Viral is nice, but it shouldn’t be the first goal. Focus on creating a piece that encourages conversation and action. 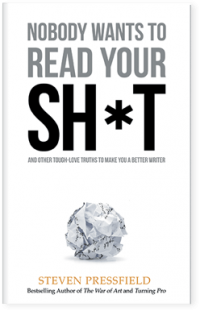 Vaynerchuk, the author of Crush It! : Why NOW Is the Time to Cash In on Your Passion , started making podcasts about wines he liked, disliked, loved and hated and then moved into video and built his brand and sales around the series. Again, it was a series. An on-going series. And it was (is) accompanied by Gary’s non-stop efforts in social media to support his show, and thus his brand. None of his videos would necessarily be considered “viral” if your definition is a million views. Yet aside from becoming something of a celebrity and best-selling author, his wine business has grown ten-fold as a result of his campaign, his series of videos. For Steve, though they aren’t videos, I’d say he’s seen some of the same through his Writing Wednesdays series. They didn’t start as a campaign, but they’ve introduced more readers to all of his projects. How? His personality comes through. He shares real stories—often personal—that resonate with readers. That’s one of the pieces I like about Josh’s video for his new book. I identified with some of what the video shares and there’s a sense of who Josh is—including the strong-man showing—that hooked me. Josh’s book is non-fiction, a look into his life, so it makes sense that he’s talking about himself. So how would that work for fiction? Back to The Profession video. 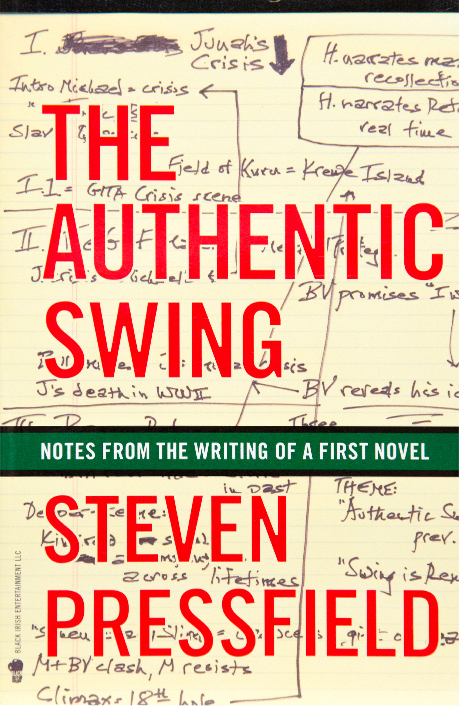 There’s a back story to every book Steve has written. Same for other writers. Rather than a production, I would enjoyed seeing Steve talk not about the entire book, but about some of what he faced writing it—a Writing Wednesdays-style post on the book, but done via video. Give me the back story—something I can learn from or that pulls at one of my interests, and I’ll share it today and 20 years from today. I still read the Robert Giroux’s intro to Flannery O’Connor’s The Complete Stories every time I pick up my copy. If it had been a video, I would be sharing it that way. I love the look behind the book. The message shared in Josh’s video has that same timeless feel to it. The experiences shared will resonate with me twenty years from now. For today, though, he’ll have to push upstream as a first-time author, facing readers who might not jump to a story about him the way they would to a story about their favorite long-established authors—one more reason for tightening the focus on what makes the most sense and to tell a story instead of forcing interruption advertising. UPDATE: Within the comment section, Jeremy Brown mentioned the 405 lbs bar in Josh’s video. That’s another reason I liked it—that Josh didn’t have to say everything, that there was a certain amount of showing. AND, via that showing, he caught the attention of others with similar interests. You never know what’s going to draw someone in, make them watch every minute. I’m not calling for one-man-band performances, smashing in as much as possible, but a few added dimensions? Why not? That’s exactly what pulls me in to something, whether it’s a book, a film, a product, an animal’s track, an image. What’s the story there? What’s the idea? And unless I’m mistaken, that’s 405# on that Olympic bar. Well done Josh! Jeremy, I’m glad you mentioned that 405# bar. I just added the following to the bottom of the post. These principles sound so simple and yet it’s always the simplest things that are overlooked. Thanks for the article! Jeremy, that is 405 on the bar, but what you can’t see is that they had asked me to warm up for a minute so they could see what it would look like. 405 was the warmup. “that’s good enough” they said. So i had high hopes, but that’s where we stopped! 405# as a warmup?! Solid proof of fierce determination and willingness to grow outside your comfort zone. Yet another lesson of Turning Pro: One writer’s 1-rep max is another’s warmup. But that doesn’t make it any lighter, or heavier. Put in the work and it becomes your warmup. I have a few more in the queue. The thing is…I’m not willing to endorse them as a vehicle for helping/producing an ROI. Not yet. We produce at the highest level….and the deal is that it’s never going to save a shitly book. It’s going to help a great book activate its fans. It’s what you say Callie. Videos might help actually. Johnson’s for example are interesting. While they tell what is inside the book, the viewer catches himself to wonder about the “how”. But the style fits with the content. So does Hanagarn’s (405#! Hmmm, a librarian of Olympic potentials!). But, about “The Profession” trailer. When I saw it I already knew Steve’s work and I already knew that it would be a great book! The video somehow seemed strange to me though. If I weren’t a “regular” reader I would have thought that this book is about something else than what I read. I thought about it right now, that you mentioned it, and actually I still can recall the feeling of “something is strange in this video” when i first watched it. Perhaps it’s the style of the video. 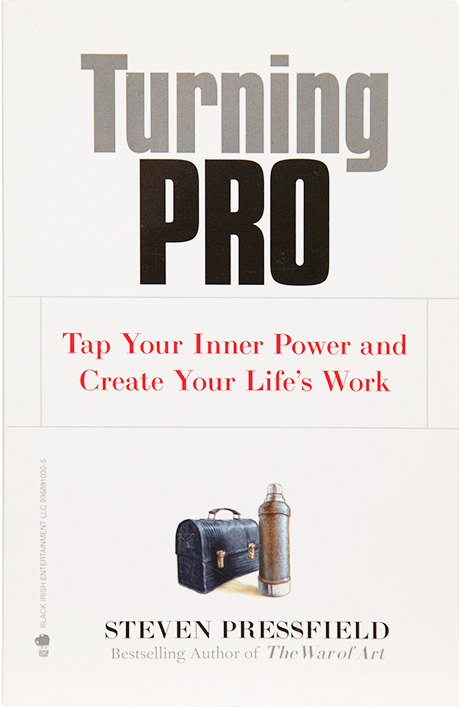 The voice over for The Profession is terrible … it comes across as an ex grunt promoting a B grade Rambo movie … he tells you at the end to “Read it!” in the same way he tells a newby to get down and give him twenty! All grunt … but no heart! Puts me off completely. Steve Pressfield – if anything – is all heart. Do a different voice over and it will change the effect completely. I love The World’s strongest librarian. You get to meet the guy, hear his voice, share his fears … see him at the coal face and look him in the eye!